TruLeaf, the Halifax agricultural technology company, has turned to an innovative platform to raise its next round of funding. The company that grows leafy greens in vertically stacked trays has launched a campaign on San Francisco’s AgFunder, a crowdfunding site for agricultural and agriculture technology investment, with the goal of raising US$2.65 million (C$3.52 million). TruLeaf has already received US$1.28 million in commitments, which exceeds its minimum target and allows the funding round to close with at least C$1.7 million. Operating out of indoor farms, TruLeaf grows highly nutritious plants under LED lights and produces food with a minimal environmental footprint. It is poised to announce a distribution agreement soon. TruLeaf has one farm in Bible Hill, N.S., and is in the process of planning its second, in Central or Eastern Canada, the northeastern United States or California. It promises to be one of the largest vertical farms in North America. “The AgFunder platform now gets TruLeaf in front of a vast global network of accredited investors who are specifically interested in investing capital in agtech,” TruLeaf Founder and CEO Gregg Curwin said last week. Equity crowdfunding— raising money from a range of investors over the Internet — is growing in popularity as startups seek new sources of financing and try to avoid the time and cost of multiple one-on-one meetings with potential investors. The AgFunder site only allows accredited investors — that is, wealthy people — or institutions in order to avoid regulatory restrictions on crowdfunding to the general public. Related: Clarifying Murky Crowdfunding Rules. TruLeaf is a natural candidate for the platform because it continues to research applications for its technology and is in expansion mode, which means it needs capital. “This is our first controlled environment agriculture opportunity,” AgFunder co-founder and chief operating officer Michael Dean said in a statement. TruLeaf has not revealed the retailer it is working with, but the material on AgFunder said it has an agreement to provide about 80,000 kilograms of leafy greens over five years and will launch in October. The AgFunder statement said TruLeaf solves a particular problem because most of the greens consumed in the country are trucked from California, often taking eight to 10 days. As well as having an environmental impact, the length of the journey can affect food quality and lead to substantial spoiling. 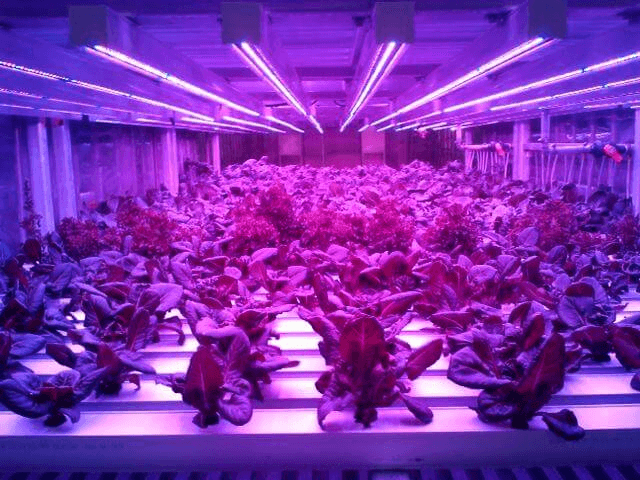 “We are as much a nutrition company as a vertical farm company,” said Curwin. TruLeaf’s Smart Plant System can grow food anywhere. As well as food, it can be used to grow other plants, such as those containing organic medical compounds. Curwin has previously raised equity and debt funding that included equity investment from angels in Nova Scotia and elsewhere and from Innovacorp.